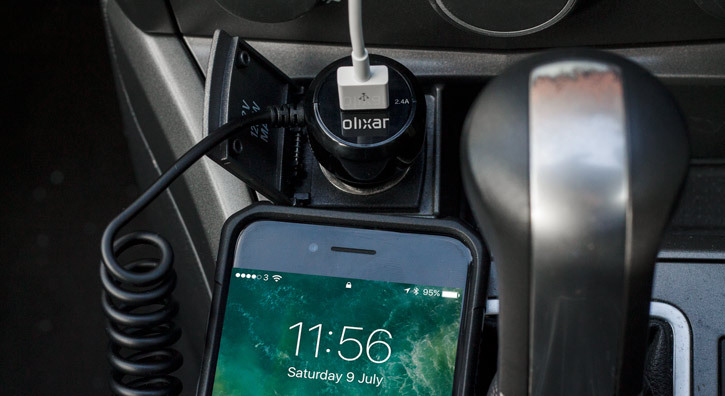 On the road and you need to ensure your devices are fully charged and ready to go when you are? 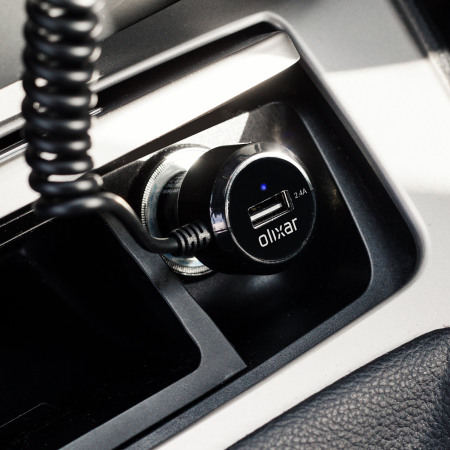 The Olixar Super Fast Lightning Car Charger with USB Port features a total of 4.8A power output, so your devices can charge quickly while driving and are ready for action when you need them most. 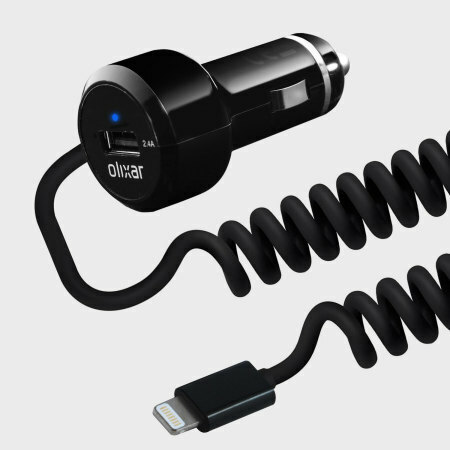 The Olixar Lightning car charger is suitable for use with the iPhone and even has plenty of juice for even the largest of iPads - ensuring that your favourite Apple devices are kept fully charged wherever you are. 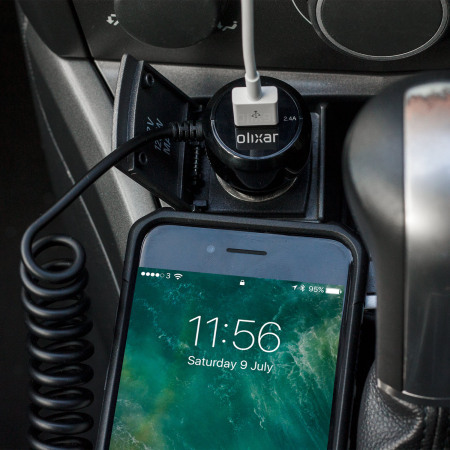 The built-in Lightning cable ensures you always have a method of charging your iPhone, iPad or iPod Touch in your vehicle. 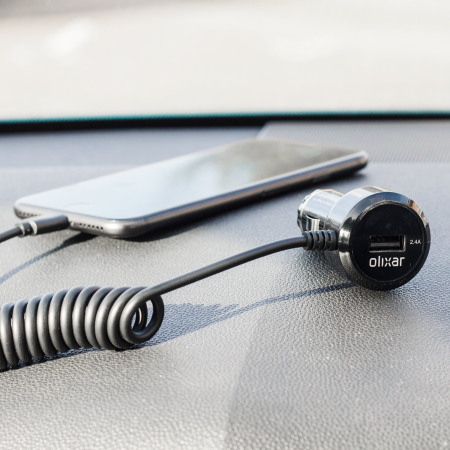 Ideal for saving space and reducing clutter, the Olixar Lightning car charger has a spiral cord design which extends to provide plenty of range without causing any tangles. 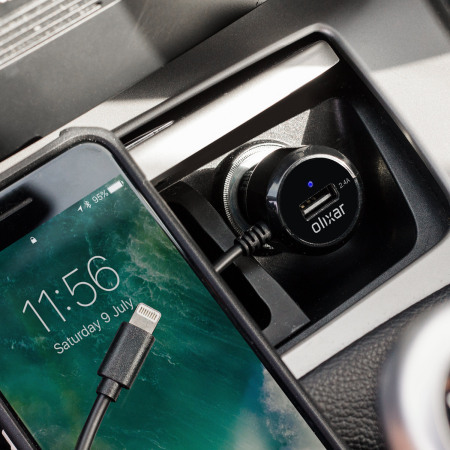 When you need to charge devices that don't feature a Lightning connector, the built-in universal USB charging port allows you to charge USB-C, Micro USB or any other USB-compatible connector using your own cables. 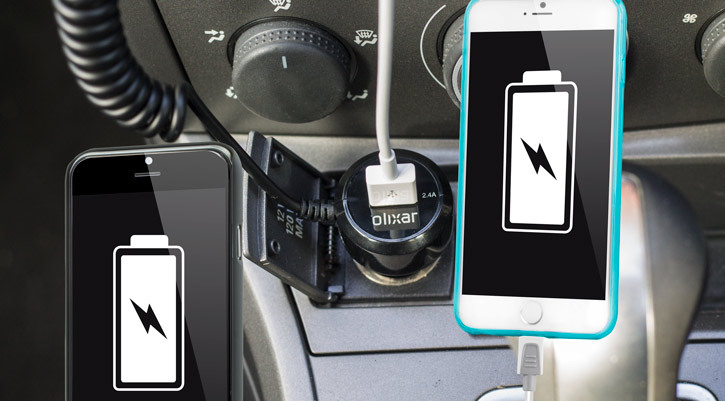 Need to charge your iPhone and an Android device? 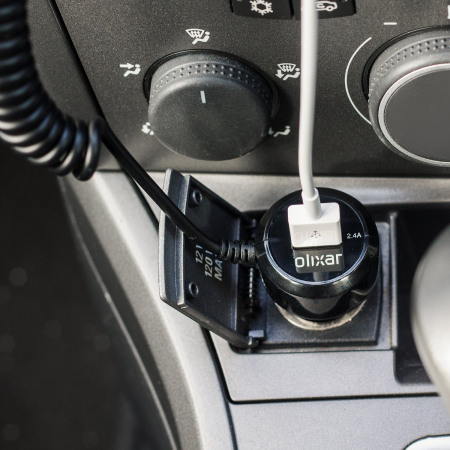 Perhaps you have an iPad low on power and your passenger needs to charge their Samsung Galaxy too? No problem, this product has it covered. 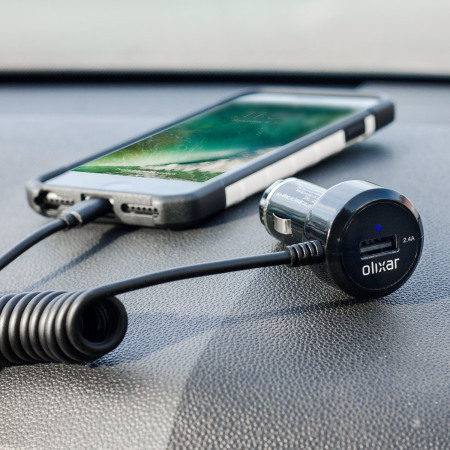 With 2.4A output via the integrated Lightning cable and another 2.4A output via the built-in USB charging port - you have the power to charge two devices quickly and at the same time. 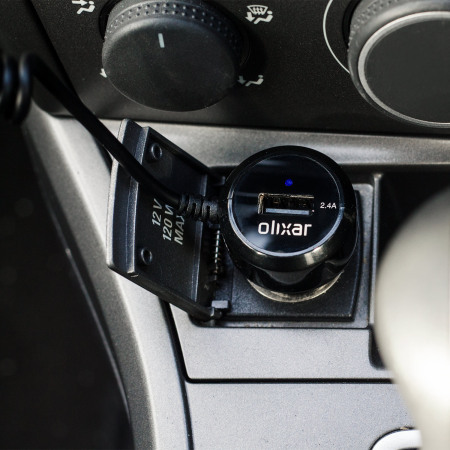 This iPhone car charger from Olixar has been designed to be as comfortable to use and as functional as possible. 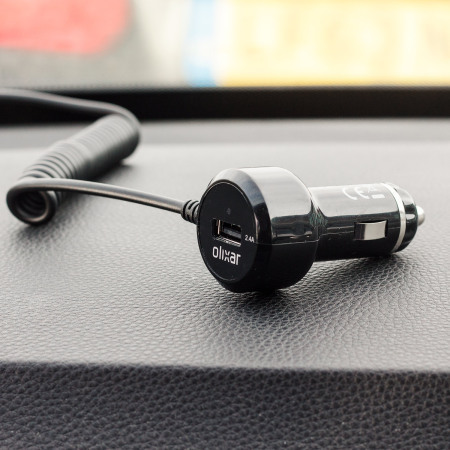 Featuring a straight design, it can be easily plugged and unplugged from your car's electrical port. Its small size is a welcome bonus as it will not hinder any operation of your vehicle or take up any more space than necessary. 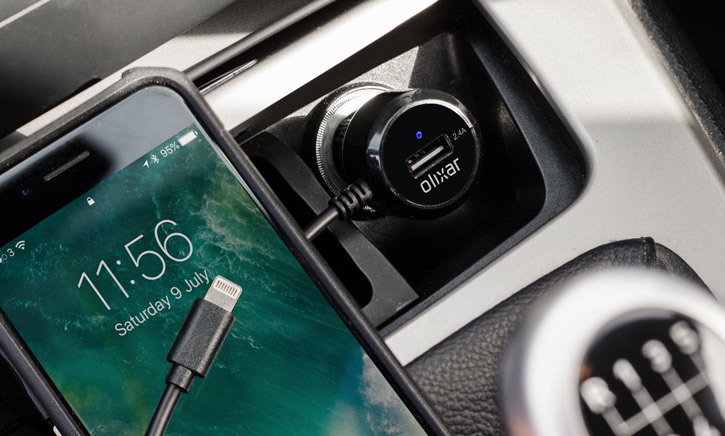 With a total output of 4.8A split between the integrated Lightning cable and the built-in USB universal charging port - you can be sure your smartphone and tablet can charge fast and efficiently.